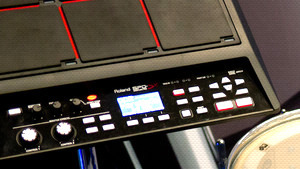 KitMonsters – Roland SPD-SX. The music makers’ guide to making music. 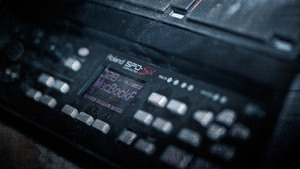 The Roland SPD-SX Sampling Pad lets you create and play back samples and is versatile enough to be used with acoustic or electronic drums or as part of a keyboard rig or DJ setup, whether live or in the studio. It’s designed to be easy-to-use and expressive, and the 2GB of internal memory gives you 360 minutes of mono sampling. It features nine velocity-sensitive rubber pads, two external dual-trigger inputs, plus multi-pad sampling for easy capture and assigning of samples. There are three multi-effects units, with two real-time control knobs and four dedicated effect buttons. 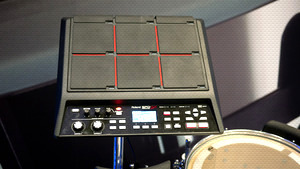 It comes with Wave Manager software to help you organise the samples, and the backlit LCD is good for stage conditions. 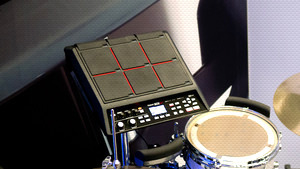 Artists using the SPD-SX include Saint Saviour and Sulpher.